Originally, I thought I'd do a separate post but these two recipes seem like a good combo so I decided to put them into one post. After the recipes, you'll find info on the books and authors, and a giveaway. 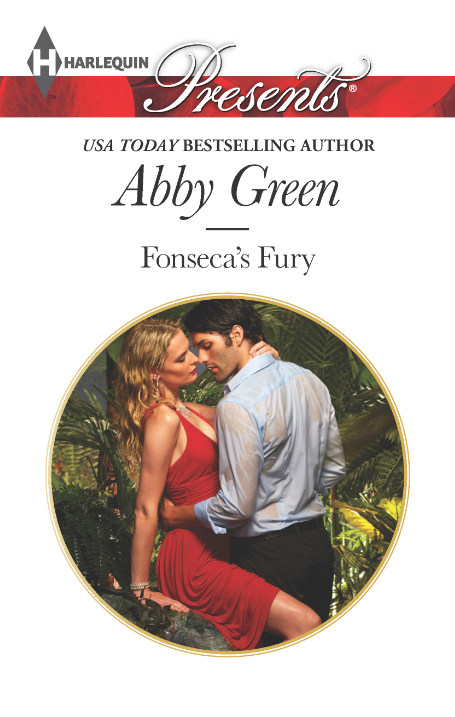 A fiery romance novel deserves a flaming cocktail to accompany it and USA Today bestselling author Abby Green’s new tale, FONSECA’S FURY, is no exception. The book has the perfect ingredients for a steamy love story—a Brazilian stud who happens to be a billionaire, a sweet and charitable heroine and a passionate anger that ignites them both. This cocktail is FONSECA’S FURY in liquid form. Run a lime along the rim of a highball glass and dip into gold cocktail rim sugar to coat. Pour dark rum, pineapple juice and apple juice into the glass and float Bacardi 151 on top and carefully light the top layer using a long match. The last time Luca Fonseca saw Serena DePiero, he ended up in a jail cell. The Brazilian billionaire has since clawed back his reputation, but he's never forgotten her. So when Luca discovers Serena's working for his charity, his anger reignites! Serena has changed. Finally in control of her life, she refuses to let Luca intimidate her. She'll deal with whatever her new boss throws at her—from a rain-forest trek to the social jungle of Rio! But she can't handle the passion that flares hotter than Luca's fury. In my January book, SNOWED IN WITH HER EX, Ian and Bree are trapped together in a mountain cabin during a sudden and unexpected winter storm. They have plenty of food in the pantry, but neither of them are particularly good cooks. Their first night together, they go with the classic cold day combo – grilled cheese and soup. Now, while Ian and Bree eat canned tomato soup they find in the pantry, I thought I would share one of my favorite soup recipes here instead. It actually falls into the chili category, but still a warm and satisfying meal for those chilly nights. Garnishes – lime wedges, sour cream, shredded cheese, corn chips, etc. Sauté onion in olive oil in a large stock pot or Dutch oven over medium high heat 7 minutes; add garlic, and sauté 2 to 3 minutes. Stir in 3 cups of water and next 5 ingredients. Place two cans of beans in a food processor; add broth and process until smooth, stopping to scrape down sides. Stir bean puree, remaining 2 cans of beans, corn and chilies into mixture in the Dutch oven. Bring to a boil over medium high heat. Add cooked, shredded chicken. Reduce heat and simmer, stirring often, for 20 minutes or until thoroughly heated. The chili is solidly spicy even with the mild chiles, so make sure to have some good chips or cornbread muffins to serve with it. I also like to tame the heat with cheese and some sour cream on top. To save time, sometimes I buy a rotisserie chicken at the store or even 2 large cans of white chicken breast meat. If you can’t find the exact same sizes of cans at your grocery store, no worries. Grab the closest you can find. It’s chili – it’s pretty hard to screw up. It also freezes well, so make a big batch and save some for later! Wedding photographer Briana Harper never expected to run into her ex at an engagement shoot! And when a blizzard strands them…alone…in a remote mountain cabin, she knows she's in trouble. She's never forgotten Ian Lawson, but none of the reasons they broke up have changed. He's still a workaholic. And now he's an engaged workaholic! But Ian is also still a man who knows what he wants. And what he wants is Briana. Untangling the lies of his current engagement leaves him free to…indulge. Yet proving he's changed may be this music mogul's toughest negotiation yet. I have a paperback copy of Fonseca's Fury and of Snowed In with Her Ex to give away to one lucky US reader. Please read my Giveaway Policy. No purchase necessary. VOID where prohibited. I've read a previous book from Abby Green and really enjoyed it. Plus the drink looks amazing! That drink really does, so tempting. I have tried a version of the white chicken chilli and it is really good and simple to make. You can't go wrong with a good cocktail and a warm bowl of soup for winter. Thanks for sharing. White chicken chili - Yay! I can't eat tomato, so chili isn't usually an option for me. I'll have to try this! I just found this blog and I think its adorable! I added a post about it on my blog, The Delete Key!